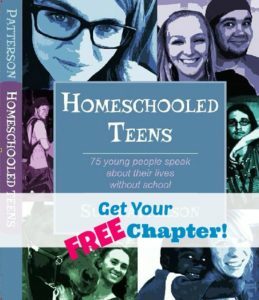 I love giving away Free Stuff! 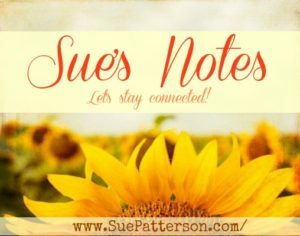 A Free weekly email update with tips, info, and inspiration! 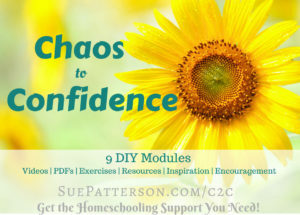 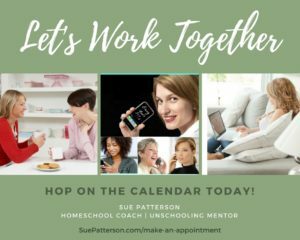 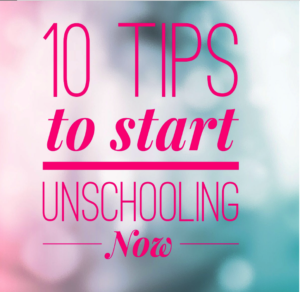 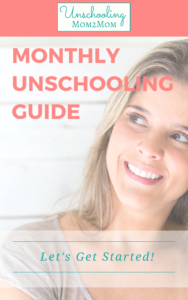 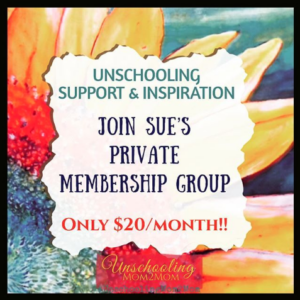 Sue hosts all the Unschooling Mom2Mom options through social media: Groups, pages, instagram, pinterest.